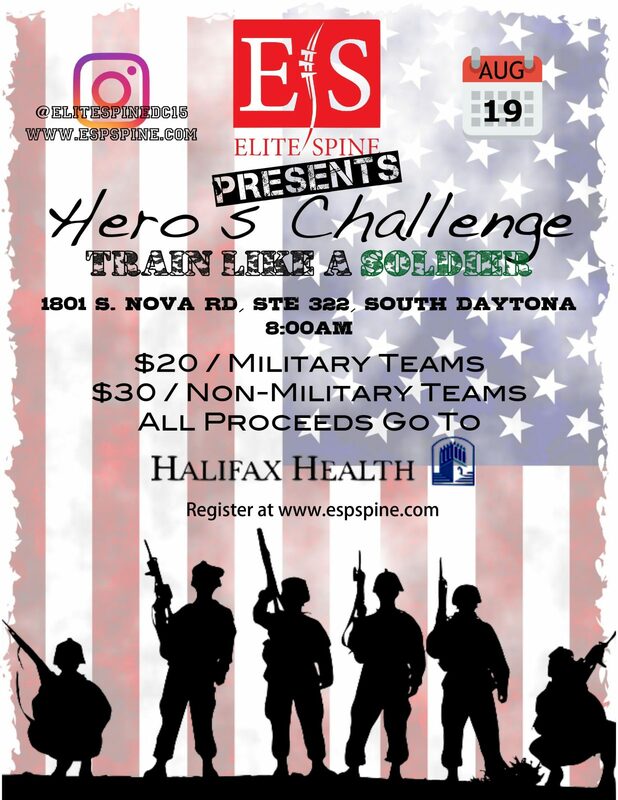 S. Daytona FL, August 19, 2017: This charity event is based around a challenge course designed by a retired Navy Captain. The course is based on basic training, boot camp and special ops events. Participants need to be familiar with push-ups, sit-ups, burpees, running, tires and jumping. to Halifax Health Trauma Unit. There will be vendors, dj, photographer, prizes, and giveaways. For more information and to sign up, please visit www.espspine.com.